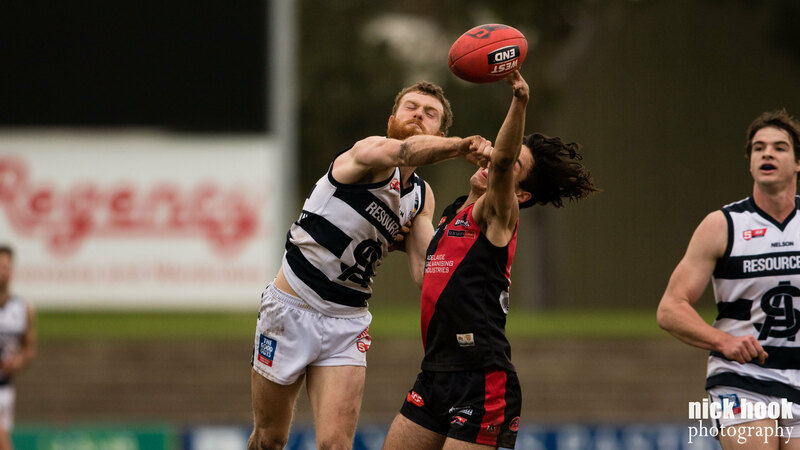 The Panthers went to City Mazda Stadium to face West Adelaide on Saturday and made it two wins from two against the reigning Premiers in 2016. South Adelaide led from the first to final whistle and ended the game with a 95-point lead, the Bloods unable to match them around the ground. The Panthers got off to a quick start, getting up forward for the first four scoring attempts of the game, three of which ended in goals. Brett Eddy was again unstoppable. Hollywood kicked seven goals for the game, only one short of his bag of eight from last time he faced West in Round 3. Brett now has 54 goals for the season and looks the strong favorite for the Ken Farmer Medal with a commanding 16-goal lead over Sturt's Kory Beard (38) in second. After a competitive first quarter the Panthers began to assert their dominance in the second, holding West Adelaide to just a single behind, while kicking 4.4 themselves. South were able to win more of the ball out of the middle, thanks in large part to their strong defensive pressure at the stoppages. Joel Cross and Brede Seccull were instrumental in the engine room. Last season's Knuckey Cup winner finished with 29 disposals, seven clearances, five inside 50s, four score involvements and a goal to earn himself best on ground honors. Meanwhile, Brede (27 disposals, seven tackles and two goals) did his chances of claiming his first club best and fairest no harm with another strong performance. The second half was much of the same story. South finished with advantages in the disposal count, clearances, inside 50s, rebound 50s and most importantly, a major one on the score board. Plus 13 in inside 50s and plus 10 in contested possessions were the major difference, as South were able to win the ball and swiftly get it up to their forwards who converted with brilliant efficiency as they have all season. Eddy was clearly the star with his seven goals, but the Panthers also enjoyed a spread of goalkickers, with 13 players keeping the goal umpires busy. Nick Liddle was active around the ground, gathering 22 disposals, 6 clearances and also adding his name to the long list of South goal kickers. SANFL centurians, Xavier Gotch (23 disposals and 5 clearances) and Matt Rose (28 disposals and 5 marks) were also impactful in earning themselves a spot on the Bests list and helping the Panthers to their 11th win of the season. South Adelaide now sit just one game behind Eagles and Sturt, who are only split by percentage atop the SANFL Ladder, only three games left before finals. We now look ahead to a Round 19 blockbuster against second-placed Sturt. With a chance to jump ahead of the Double Blues on the ladder it is yet another important match. Make sure you get out to Hickinbotham Oval, where the Panthers remain undefeated this season, on Sunday the 7th of August for the game. Keep your eyes on the website for game previews and teams coming later in the week. South Adelaide's Reserves fought hard against West Adelaide in the earlier game at City Mazda Stadium, although they went down by six points at the final siren. West Adelaide got out to a 10 point lead by quarter time and it seemed to be the difference as the Panthers were never able to reel them in. The Panthers did come within striking distance in the closing moments, but a late goal to West's Mark Noble ensured the Bloods held a goal advantage when it counted most. Nic Schwarz had a huge game for the Panthers, filling up the stat sheet with 40 disposals (18 contested), eight marks, eight tackles, nine clearances, six inside 50s, two goals and two score assists. Young guns Joseph Haines (30 disposals and two goals) and Rhys Bartram (23 disposals and 12 tackles) also led their side admirably in defeat. Sent back the twos this week, Emmanuel Irra also had a strong performance with 21 disposals. Meanwhile, recently promoted from the Under-18s, key defender Ben Millman helped hold the line in defense for the Panthers with six rebound 50s amongst his 10 kicks. On an interesting side note, West Adelaide's best player was Izak Rankine. The younger brother of South's Matt Rankine, Izak put in an impressive performance with 21 kicks, 30 disposals, 11 inside 50s and two goals despite still being an Under-16s eligible player. Despite the loss, the South's Reserves remain in 5th position on the ladder and are still a strong chance to play finals football this season. 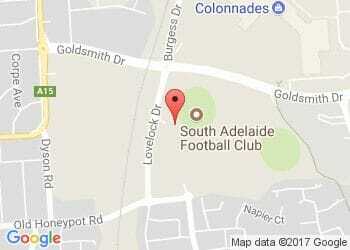 Next week they face 9th placed Sturt at Hickinbotham Oval.